I have completed a Bachelor of Arts degree with First Class Honours majoring in Hebrew and Biblical Studies at the University of Sydney, and am currently a PhD Candidate at the same University. 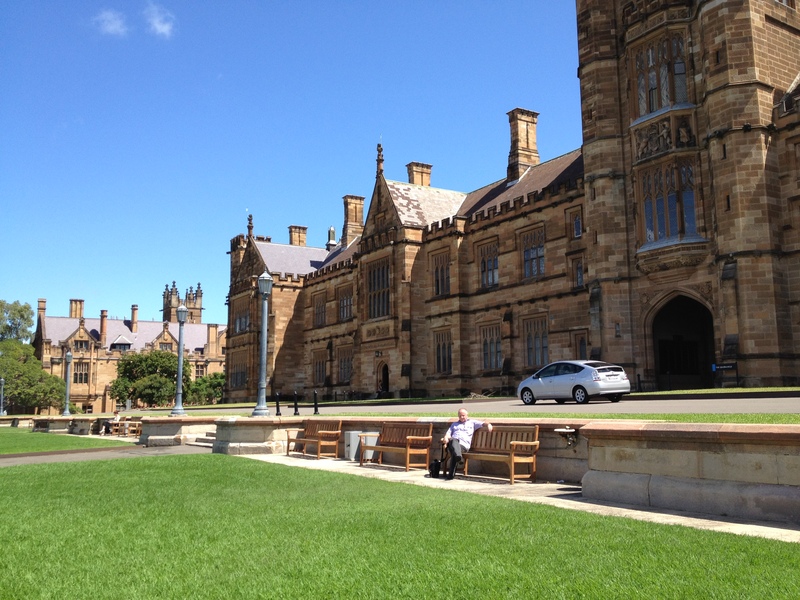 I am a sessional academic at The University of Sydney (Biblical studies) and Macquarie University (Ancient Hebrew). I’ve been in a Bible-reading environment for as long as I can remember. Apparently I was taken to Sunday School when I was a week old (both my parents were Sunday School teachers and despite having a newborn my mother was back teaching, babe in arms, the next Sunday after I was born). I remember being taken to church and Bible classes, often several times a week, from an early age. It was a daily tradition in our family home to sit around after dinner and read a few chapters from the Bible, each of us taking a few verses in turn, and each child taking their part as soon as they learned to read. There has been a long tradition of Bible reading and scholarship in my family. My great grandfather, always eager to discover more from the Biblical texts, learned Hebrew in his eighties! I fell in love with the Bible from an early age, especially the Hebrew Bible. For a long time I have believed that in order to understand the Christian Scriptures (in Greek) one has to appreciate that the writers of these texts were Jews and thought in Hebrew, even if they wrote in Greek (although arguably some of these Christian Scriptures could have been written in Hebrew and later translated into Greek). Jesus and Paul were Jewish Rabbis. To understand them we need to understand their Bible – written in Hebrew – and the Jewish culture and texts which gave birth to Christianity. I’ve named this blog Mikra (מקרא – also spelled Miqra), which is a Hebrew word derived from קרא, kara, meaning “that which is read” (i.e. read aloud), and generally refers to the Hebrew Bible, which is also commonly called the Tanakh, although arguably it could be used to refer to any scriptures which are read aloud or used liturgically. I’m going to use it here in a broader sense and post articles under this heading from my studies in the Hebrew Bible, the New Testament, and non-canonical Jewish and Christian religious literature. I’m in my late 40’s and your great grandfather is an inspiration for me: I’d like to learn the biblical languages as tools for a better understanding of the Lord’s Book. I’ve read some of your posts, especially about David, and really like your insights. Great job!